The wine world is evolving and Rack & Barrel Reserve is leading the way with a new and exciting concept in wine making. This high-quality Cabernet Sauvignon from Lodi California has the style and panache that sets it ahead of the competition! Our approach is to age a small portion of the wine in used charred Kentucky Bourbon barrels for up to 4 months, creating a fuller bodied Cabernet Sauvignon with bold fruit flavors. This extra step in the aging process provides an excellent foundation for the natural tannins to blossom along with wonderful hints of brown sugar, vanilla and caramel flavors. The bourbon barrel aging adds to a long and smooth finish to this already exceptional robust Cabernet Sauvignon. 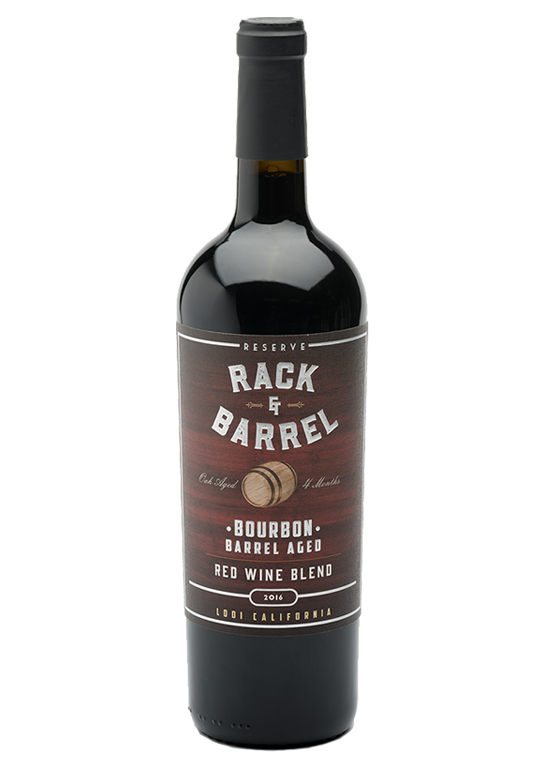 Bourbon barrel-aged wine has boomed since its introduction in 2014 and Rack & Barrel Is proud to introduce our new 2016 Bourbon Barrel Aged Red Blend. We have blended Cabernet Sauvignon, along with Zinfandel and Syrah together to create a full-bodied wine that lingers on the palette. Our Hand selected Lodi California grapes are aged up to 4 months in used Kentucky bourbon barrels. By using bourbon barrels for aging, we draw out flavors like vanilla, caramel, and oak to flavor the wine. The barrels can also add a hint of pepper, or “barrel spice”, for a more complex experience. 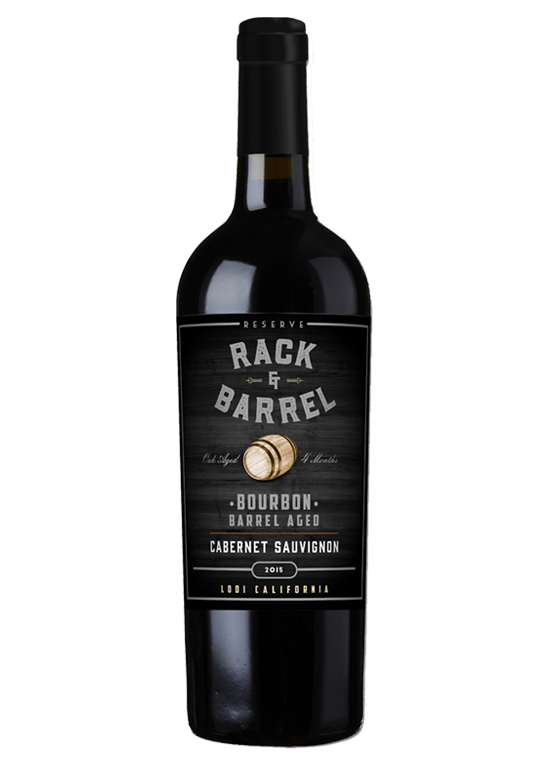 Interested in purchasing Rack & Barrel Cabernet Sauvignon? © 2019 Rack and Barrel Wines. All Rights Reserved.